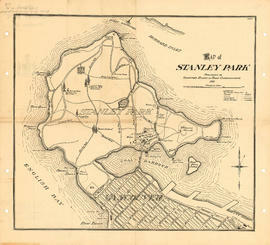 Item is a topographical map of Stanley Park showing various landmarks and locations of buildings. 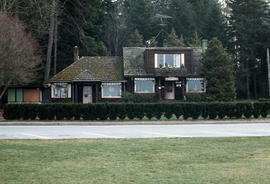 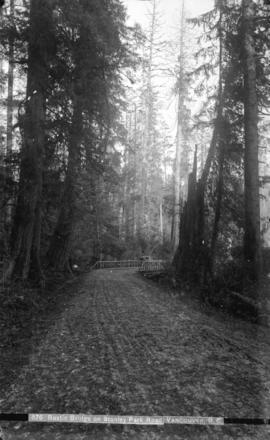 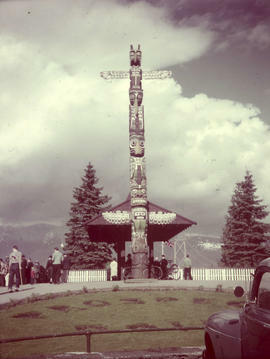 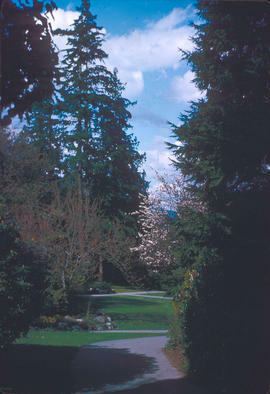 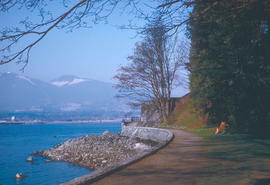 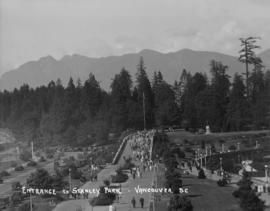 Entrance to Stanley Park - Vancouver, B.C. 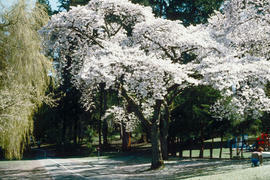 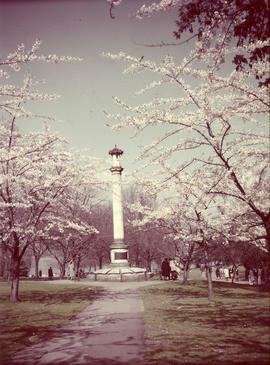 Item is a photograph of Japanese cherry trees in bloom around the Japanese Memorial in Stanley Park. 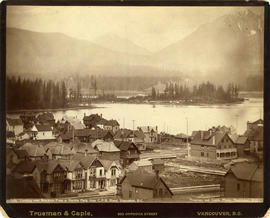 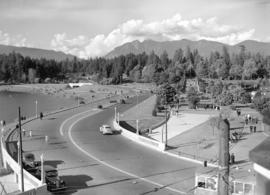 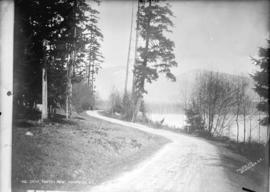 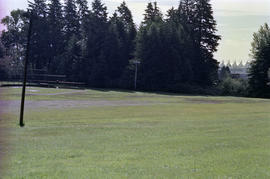 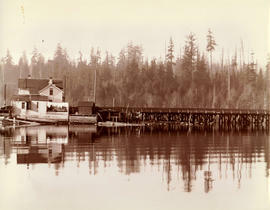 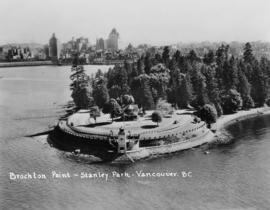 Looking over Brockton Point in Stanley Park, from C.P.R. 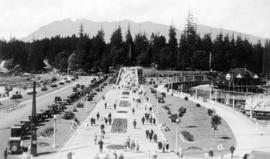 Hotel Vancouver, B.C. 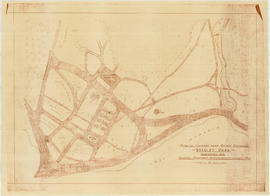 Item is a diazotype copy of a site plan which shows gardens, ponds, buildings and roads for the area at the entrance of Stanley Park. 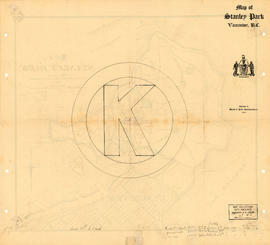 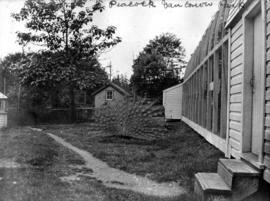 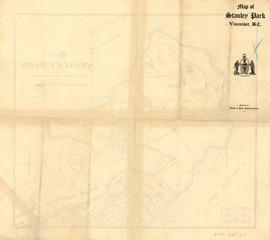 Plan showing lands occupied in Stanley Park near Brockton Point, City of Vancouver, B.C. 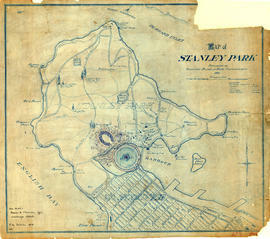 Map shows parcels of land (1-8) in Stanley Park and indicates what kind of structures are located on the land. 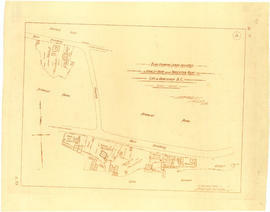 The area for each parcel of land is given in acres. 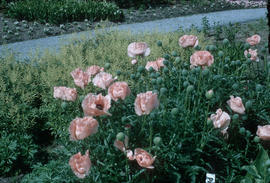 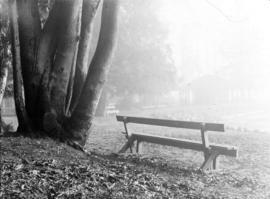 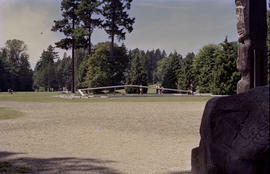 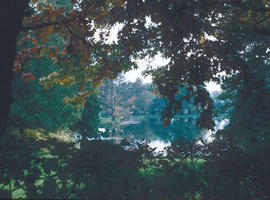 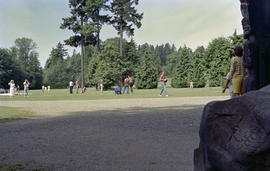 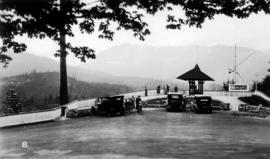 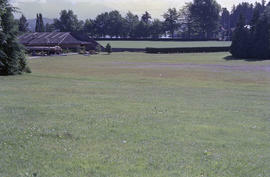 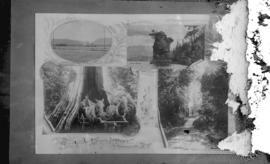 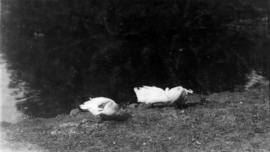 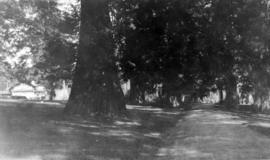 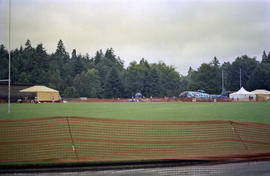 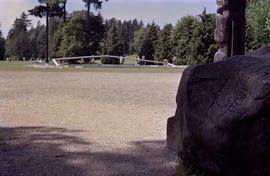 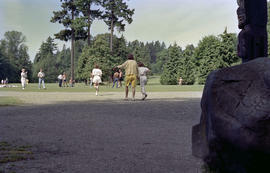 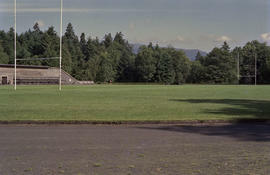 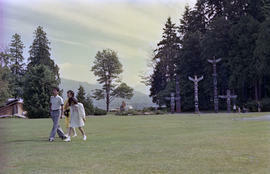 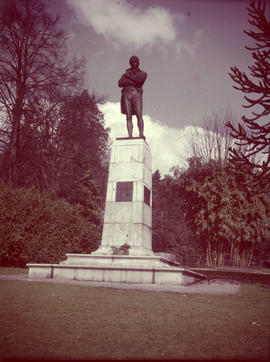 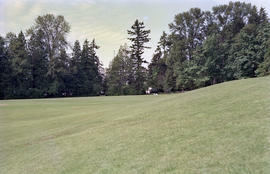 Item is a photograph of the Robert Burns Memorial in Stanley Park. 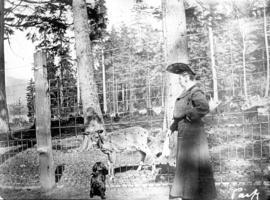 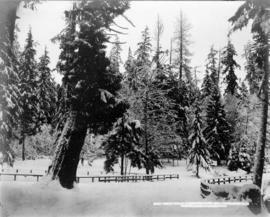 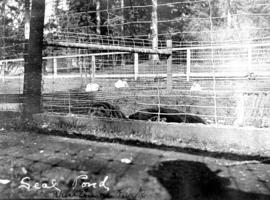 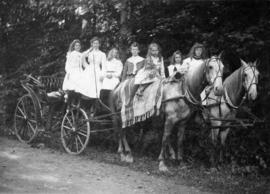 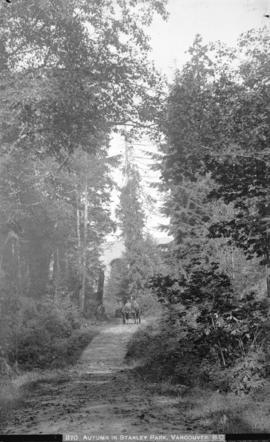 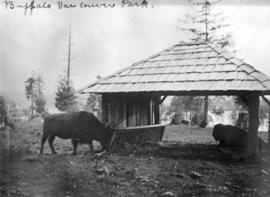 Snow scene in Stanley Park, 1901, Vancouver, B.C.